An Al Michaels personal appearance, Al Michaels speaking engagement, or Al Michaels endorsement will reflect well on your company. To hire Al Michaels now for any corporate appearance, fundraiser, motivational speaker event, personal appearance, autograph signing, or website endorsement please contact our celebrity agents at 1-877-6-SPORTS. We will contact Al Michaels or contact Al Michaels' agent and provide you with the booking fees and availability immediately upon your request. Direct Sportslink is the only sports speakers bureau and talent booking agency based in the United States securing only sports talent for corporations, associations, and organizations for motivational speaking engagements, personal appearances, and endorsements. We are the premier sports celebrity booking agency and a sports celebrity procurement expert. Accordingly, we will provide you with any relevant Al Michaels website information and booking agent details so that you can hire Al Michaels for your next event. 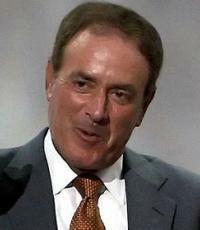 Al Michaels has been one of the most prominent and respected members of his profession. Michaels is best known for his broadcast of the Miracle on Ice, where he said the famous quote "Do you believe in miracles?" 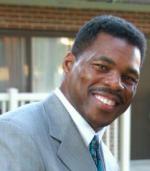 Michaels has won numerous awards during his career, including the Emmy Award for Outstanding Sports Personality (Play-by-Play Host) multiple times, the NSSA Award from the National Sportscasters and Sportswriters Association multiple times (he was also inducted into their Hall of Fame in 1998), and "Sportscaster of the Year" from the American Sportscasters Association and the Washington Journalism Review. In October 2004, Michaels was awarded a star on the Hollywood Walk of Fame. He is one of a select few people sportscasters to be a play-by-play voice or host for the championships of the four major American pro sports, having called The Super Bowl, World Series, NBA Championships and the Stanley Cup Finals (the latter as a host, not play-by-play). In addition, Michaels has served as host for all three Triple Crown races and the Indianapolis 500. Baseball Hall of Famer Bob Wolff has also called the championships of the four majors, with the difference that Wolff's initial NFL Championship coverage came before the Super Bowl era. His longest-running assignment was that of the lead play-by-play announcer on ABC's Monday Night Football telecasts, which he began in 1986. In 2005, it was announced that Monday Night Football would be moving from ABC to ESPN beginning with the 2006 season. Michaels then decided to join NBC Sports to broadcast that network's forthcoming Sunday night NFL package with John Madden. Based on your interest in Al Michaels as a speaker or for a personal appearance, Direct Sportslink has provided you additional links below for other sports talent with similar appearance fees, speaker topics, and categories that match Al Michaels.